Why this book? Gordon’s middle aged clients came for advice on how to get back on track. Many wished they had done things different earlier. One summed it up with, “My father gave me good advice but I didn’t use it”. Why would any teenager use good advice if they don’t understand why they should? Proverbs 14:6 “Knowledge is easy to him that understands”. 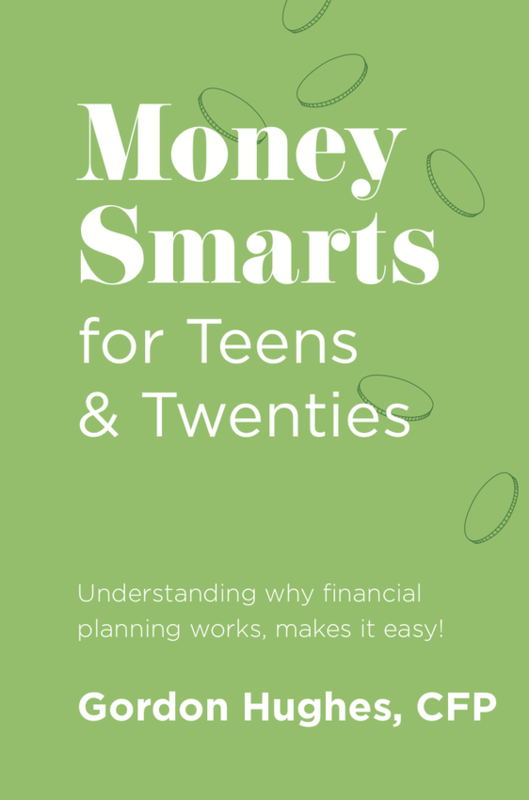 ​We want to help youth understand why financial savvy today will impact their future. ​Gordon has over 25 years experience as a financial planner. The preventable problems he sees in his practice motivated him to write this book. It covers aspects of financial success that are commonly overlooked in our culture. Without this understanding young people are apt to find themselves in unnecessary debt. ​will soon be available from the online retailers below. Gordon Hughes CFP became a financial planner in 1991. Previously he worked in Banking and Credit Management but felt he could better serve people as an advisor. Gordon earned designations in credit management, lifestyle planning and financial planning. In 2009 he incorporated his own life insurance and investment sales company. Smart Choice Life Inc. brokers products from 20 Life Insurance companies to offer products best suited to their clients. They work for their clients – not for a company. In 2011, a year after his son Greg died Gordon and his two daughters started a scholarship program in Greg’s honour to assist children of low income families to enroll in music, art, dance or acting programs. The company is the ‘Youth Advantage Project for Culture Inc’. Gordon has authored a financial advice column in The Daily Gleaner in Fredericton NB. His column shared actual mistakes people made and suggestions to help others avoid those pitfalls. He didn’t regurgitate commonly held beliefs; he used real life circumstances and doable solutions. Gordon's predictions have been surprisingly accurate. In 1998 when interest rates were around 7%, he predicted that we would see 2% GIC rates within 5 years. He recommended that seniors purchase life annuities before the interest rates declined. Hindsight affirms that was a wise investment choice for many. Another prediction in 1998 was that we would see 20% 30% even 40% growth followed by a 50% drop. In 2000 the Toronto stock exchange was at 11,000 and dropped to less than 6,000 by 2002. Basically similar results repeated growth in 2005, 2006, 2007, and a drop in 2008. For questions, reviews, and media enquiries, please submit your details below and Gordon will get back to you shortly.